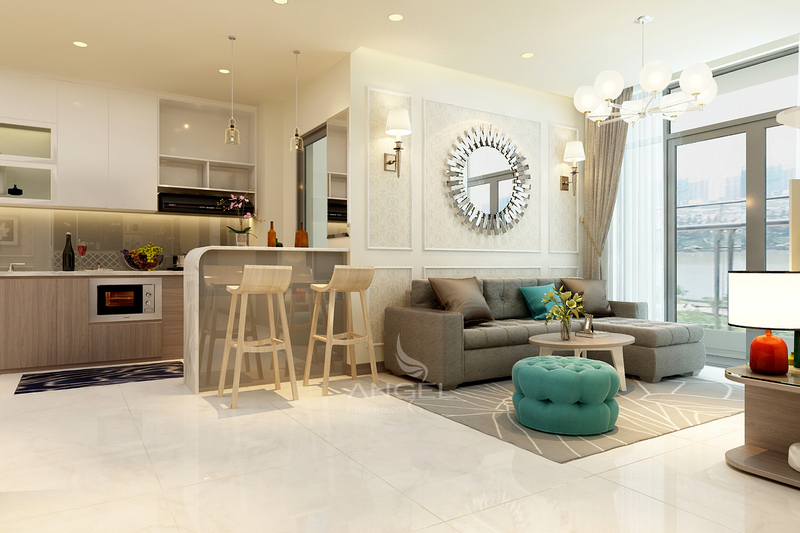 Interior design Vinhomes 3 bedrooms modern style. 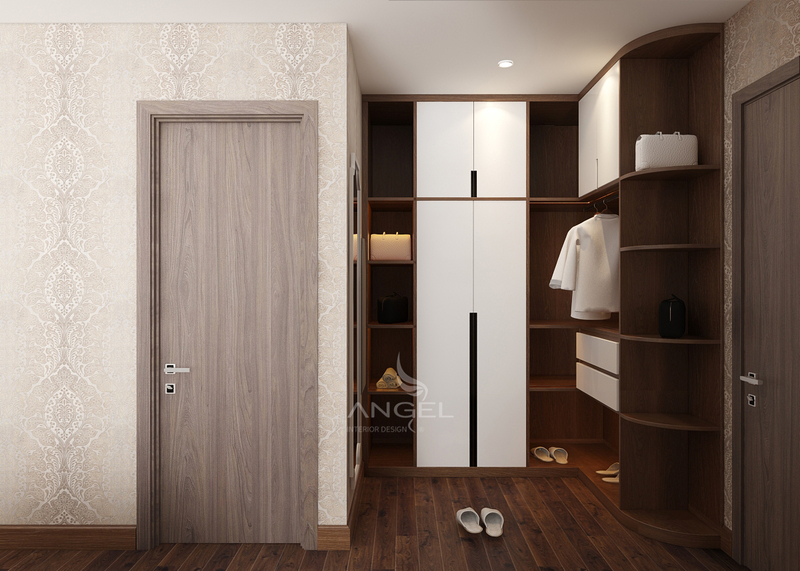 A design product of Angel brings bold features and in through the interior details. 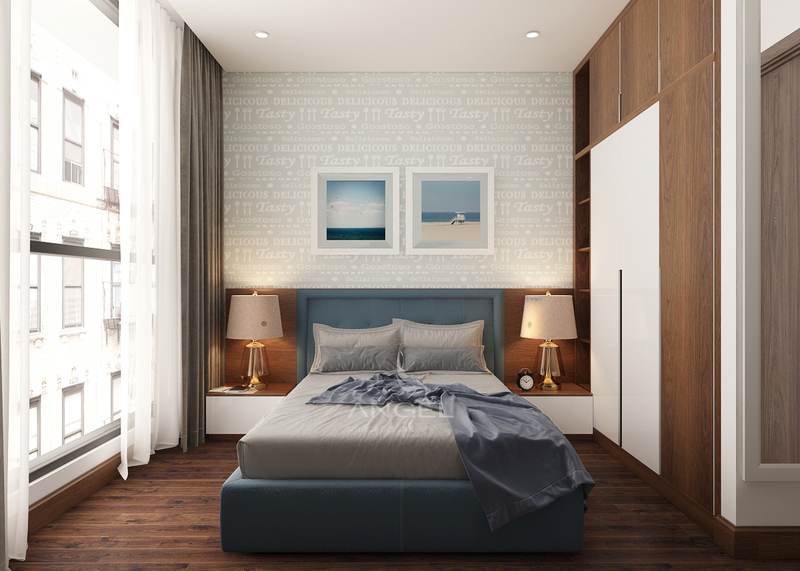 From the living room with a great click to leave a deep impression to the design of the bedroom creates a convenient environment for personal activities. 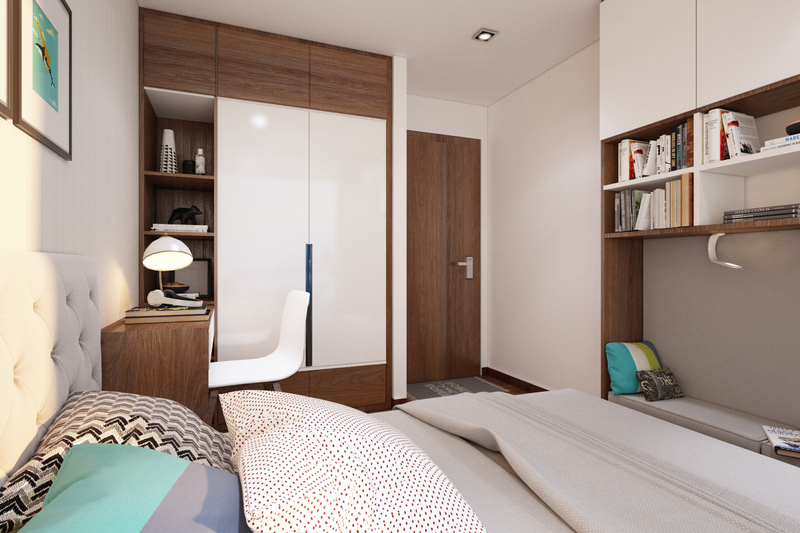 Everything is integrated into the luxury apartment Vinhomes nearly 100m2. Living room & kitchen area. 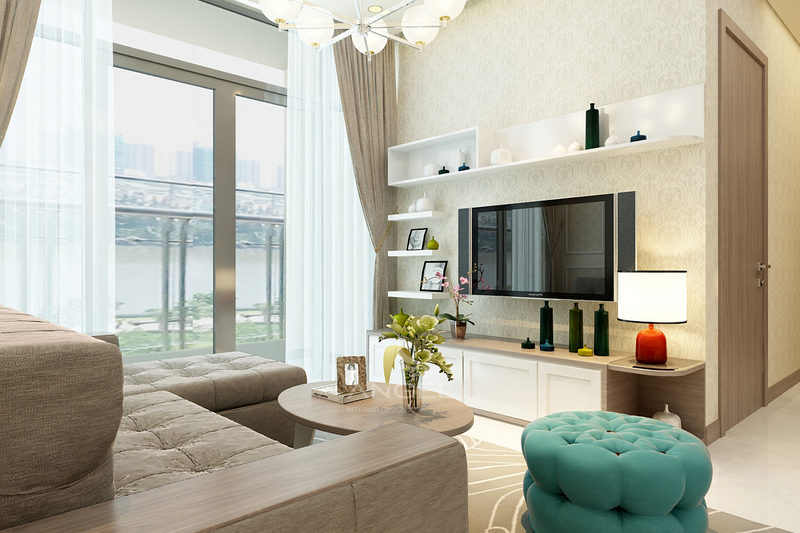 With cream colored walls combined with golden light, this space is covered with a delicate elegance. 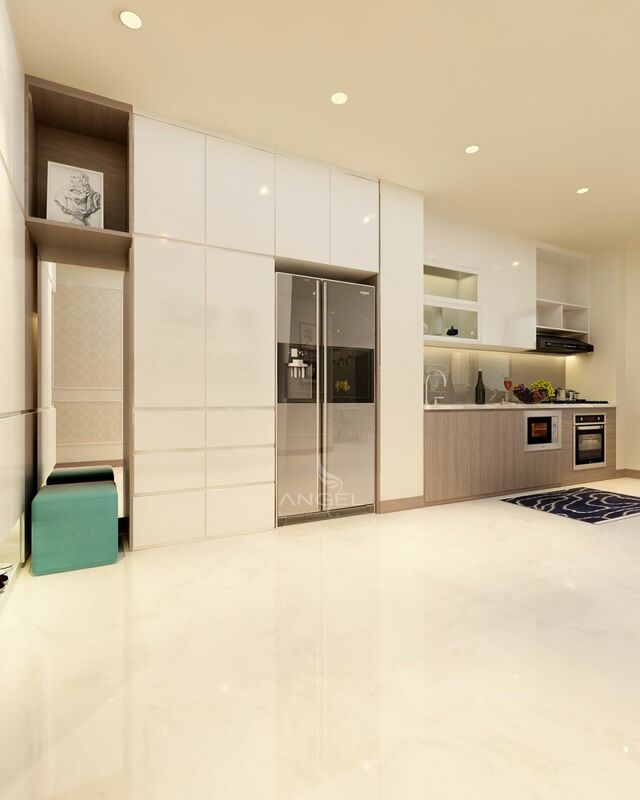 Combined kitchen space is also a prominent trend for large apartments in accordance with this design. Walls were smashed through the pictures on the top of the float with beautiful wallpaper. On the kitchen area is a simple kitchen system but no less luxurious and full of places to store dishes. Nearly in the main kitchen area is a system of cabinets around the refrigerator neatly accommodating quite perfectly. The dining table and classic items combined with the drop lamps create a wonderful classic look. If customers like the quiet and luxury we can still care about it. 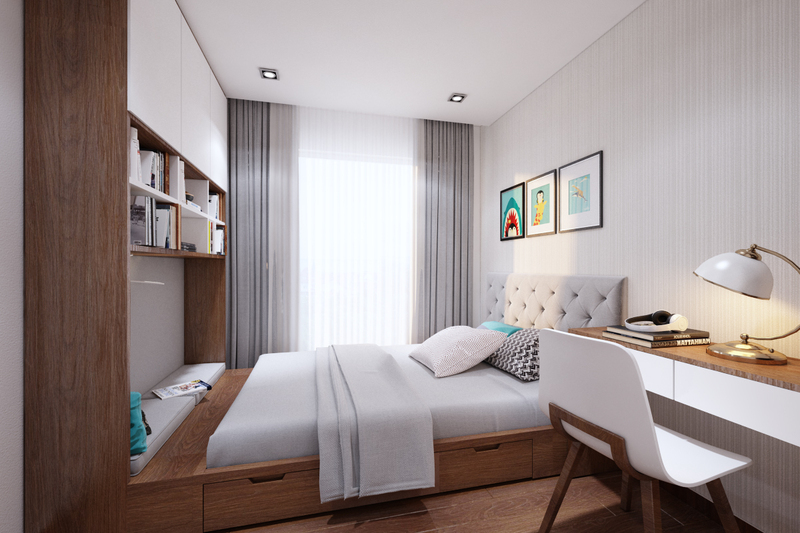 Everything is possible in interior design, interior apartment at Angel.